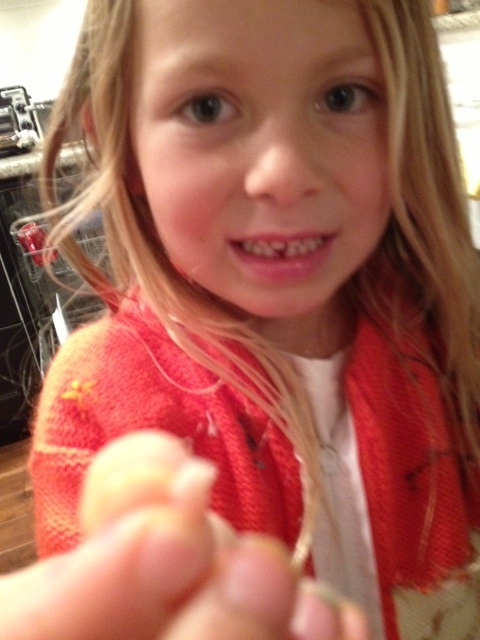 As reported on my Facebook page Wednesday, February 20, 2013, my granddaughter’s 24d tooth came out. This unleashed a flurry of activity on this otherwise very ordinary Wednesday evening. Hayden is almost six. We contacted Mom via mobile phone. She told us where to find the pillow. and I thought all was settled. Wrong. This granddaughter has some traits that are familiar. Uncomfortably familiar. At this point, her mother had returned from work, and calls were going out to inform the family of the event. Meanwhile, I was contacting Auntie Vanilla to have her diplomatically intercede on behalf of using the tooth pillow AS IT WAS INTENDED. This morning, at 5:45 am, Hayden crawls into bed with me. This is a daily event, as she watches Woody Woodpecker cartoons on my iPad before we go to breakfast. Today, however, she needed to finish writing her name at the top of the homework pages due. So, she requested music, chose the sound of crickets on Calm Radio, and went back to sleep. At 6 am, I couldn’t stand it anymore. She ran into her room, discovered a wrinkled dollar bill under her pillow and the day of life with an excited human being began. In writing this, I found an App I could have used last night. The Tooth Fairy Calculator. As for inflation, ABC News Consumer Report states that in 2012, the average was $3 per tooth. My teeth are costing me thousands, as I am at the ‘need a new crown of cubic zirconia and perhaps a root canal’ on the life spectrum. It’s so bad, I have to remove a substantial amount from my cash reserves. Sell my house? Maybe. If only I’d gotten more for my deciduous offerings and saved the money. After all, when I was a kid, our house in San Marino, California, cost about $50,000. I paid almost that much for a car a couple of years ago. Median price for San Marino homes clock in at more than $1million in 2010, and is the 63rd most expensive place to live in the United States. Back to the Tooth Fairy. Maybe it’s time to re-think value. At least raise the minimum wage so that the Tooth Fairy can continue to operate. Plus, equal pay for women. I need to go brush my teeth, er, tooth. Yesterday MSG. Today, your password. MSG used to be the weapon used by the Chinese minions across the Pacific. Now, these diabolical fiends are hacking us – as the THE US and us, meaning you and me. Time to review your password. Or, passwords. In my case. Noting my brain age, I only have a couple which have hung with me ever since I got out of the Stoned Age and bought my first Apple and merged onto the cyber highway. Do not use the word ‘password.’ Duh. For those who have trouble letting go, however, moving a letter or two could help. You could swap a vowel or two in ‘password’ but I won’t do it here as the bots will most assuredly slap me off WordPress. Take it further and you’ll need to clear it with Betty White. Alan Ludden was her mate for 45 years and the host of the TV game show Password. You could use alanludden3000 as there are probably 3000 people who’ve already thought of this. Do not use 123456. Silly. Try ! @#$%^ instead. Use letters, upper and lower case, plus numbers. All right. How about pASSword123456. 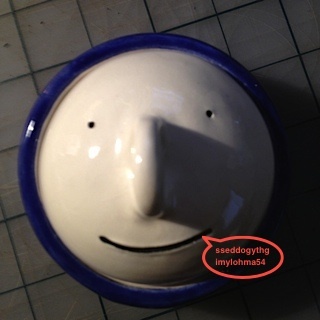 Do not use Maosucks2 or poppa1ummaoMaomao as that will just irritate the Chinese hackers to no end. The 2013 Super Bowl set some records. It was the longest, four hours. National anthem, two minutes and 40 seconds. I call that patriotic, as the work is hardly melodic or inspiring. We have to clap and scream at ‘ . . . rockets red glare’ to mask our inability to hit the high note. Tsk tsk to the Alicia-bashers. She now owns it, by the way. The longest blackout – 32 minutes. Accompanied by the nastiest tweets [‘No blackouts during Bush’ forgetting, of course, September 11, 2001 and Katrina.] Carl Rove must have been ready for this. Or, did he plan it? I digress. The prize for swiftest and most re-tweets goes to Nabisco – the Oreo graphic that read “Power out? No problem. You can still dunk in the dark” within mere minutes of the blackout. So much for proactive disaster planning, otherwise known as preemptive damage control. Nabisco marketing had assembled a gaggle of like-minded folks to sit together, thumbs poised for action. More than 10,000 re-tweets shot though hyperspace in an hour. Did they watch the game? Note the balance of non-penalty calls? Honorable mention goes to Tide “We can’t get your blackout, but we can get your stains out.” Bud Light gets the geek prize for ensuring that any #poweroutage tweet displayed the Bud banner. Get the Poop Ready. Train the Pony. And the Dog. Next year’s Super Bowl should be sweeter than granny’s apple pie. It will be in New York. So, I’ll bet [unlike those who bet on how long the Star Spangled Banner will be performed] that somewhere on the planet, there is a marketing guru thinking of possible disasters and assembling a team with hardy thumbs. Let’s hope they don’t take the group think a bit further – producing the disaster. And having the graphics to put sink their tweets into.